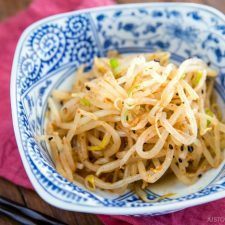 Dressed in spicy sesame oil based sauce, this Spicy Bean Sprout Salad is delicious as an appetizer or as a ramen topping. This Spicy Bean Sprout Salad is the third part of my ramen series. 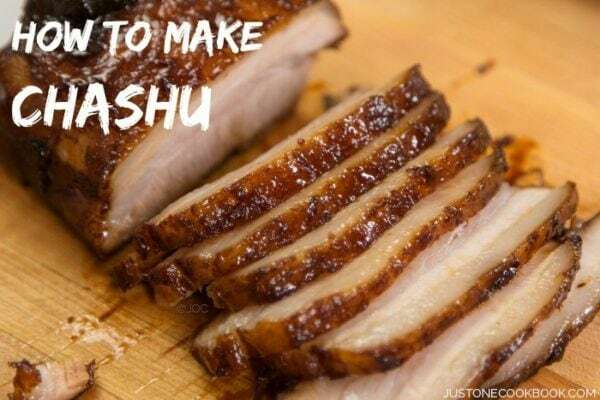 If you haven’t had a chance to see my previous ramen topping recipes for Ramen Egg and Chashu, I hope you will check them out. 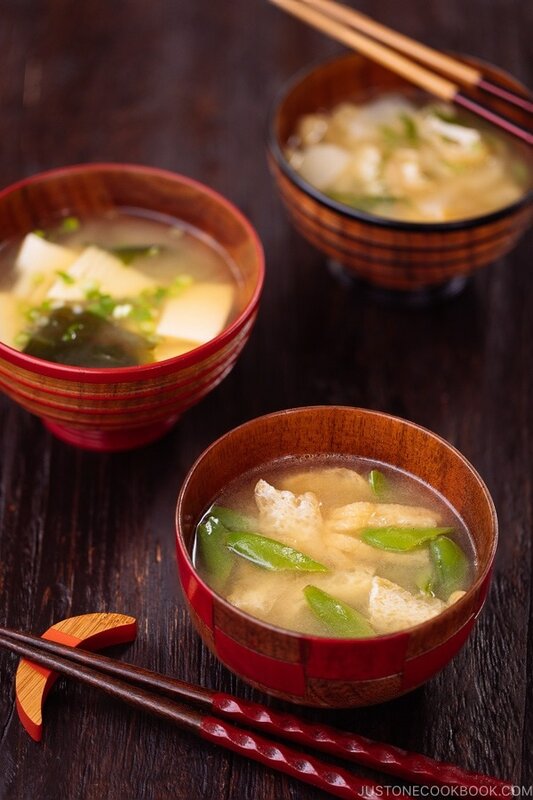 This recipe was inspired by a popular ramen chain Ippudo‘s “Hot Moyashi” (ホットもやし), which is a bean sprout dish with spicy sauce (moyashi means bean sprout in Japanese). In Japan, this dish is complimentary and it’s available at each table. 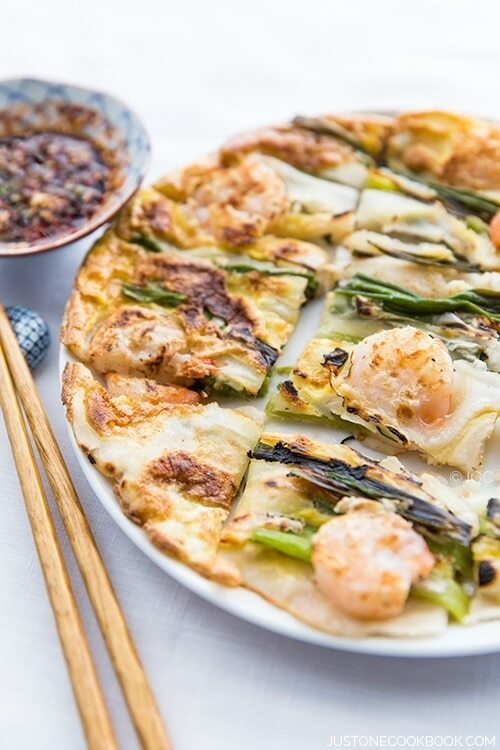 You can enjoy it by itself as an appetizer or add them on top of ramen as a topping. 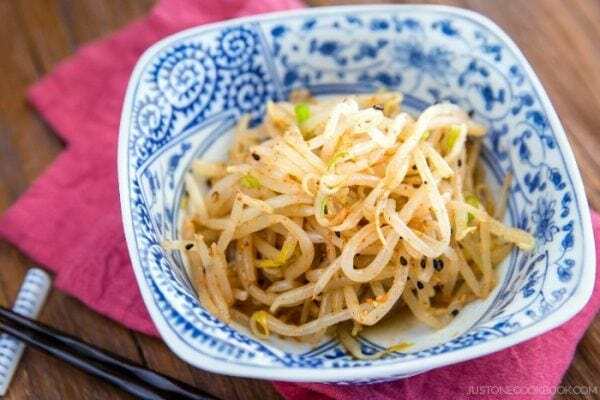 Refreshing bean sprout salad dressed in spicy sesame oil based sauce. Enjoy as an appetizer or as a ramen topping. When I make ramen at home, I put this bean sprout on top of our ramen. Since my children are still learning to eat spicy food, I make milder spice version adapted from my own archive recipe Bean Sprout Namul. If you really want it to be spicy, I recommend to use Ichimi Togarashi instead of Japanese Seven Spice (Shichimi Togarashi) that I used. I actually like the seven spice version as it has more spices and add additional flavors and fragrance to the dish. By the way, you can purchase Ippudo’s Hot Moyashi Sauce online in Japan, if you’re interested. Or try my recipe and adjust the spice and flavor according to your liking! 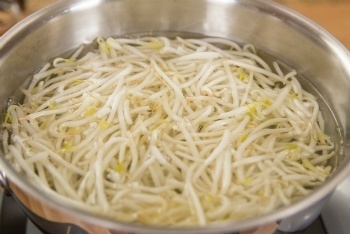 Bring a large pot of water to a boil and add bean sprouts to cook for 1-2 minutes. Combine all the seasonings in a large bowl. 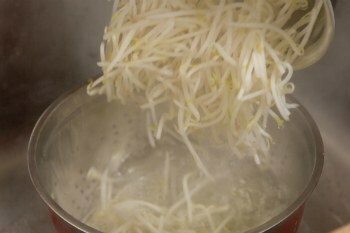 Add the bean sprouts and mix well together. Sprinkle sesame seeds. Garnish with scallion, if desired. You can store in the refrigerator for up to 3 days. 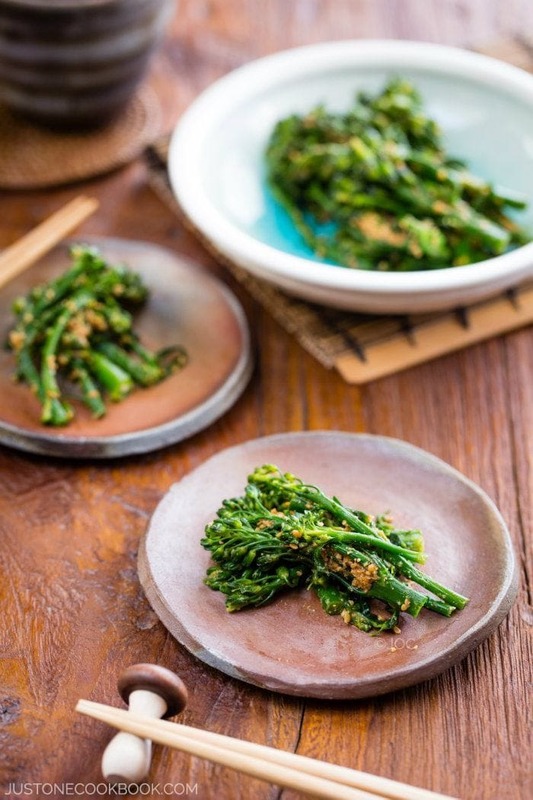 Shichimi Togarashi: Use Ichimi Togarashi (Japanese chili pepper) instead if you like it extra spicy. Black Pepper: Use white pepper for more intense pepper kick. I like the fact that the salad is so simple and yet packed with flavour. Thank you for sharing the recipe. I like the fact that the salad is so simple and yet packed with flavour. Thank you for sharing the recipe. I hope to make it soon. I love this bean sprout salad! I have always wanted to learn how to make this at home – thanks so much for sharing Nami! Hi Nami! Oh I bet this would be heavenly on top of a bowl of ramen. Thank you for sharing! This looks so tasty! I love the idea of adding it on top of a big bowl of ramen! Oh I just love bean sprouts. This is salad I’ve enjoyed when we go to Japanese restaurants. So happy to see your recipe so I can make it at home. Thanks for sharing and it’s so interesting to find a source for the 7-Spice Japanese powder. Have a good week, Nami! I would never have thought to top ramen with bean sprouts. I love both so can’t wait to give this a try. Hi Nami, you have managed to pack such a lot of flavour into a very simple-to-prepare salad, proving great flavours don’t need to be hard work. 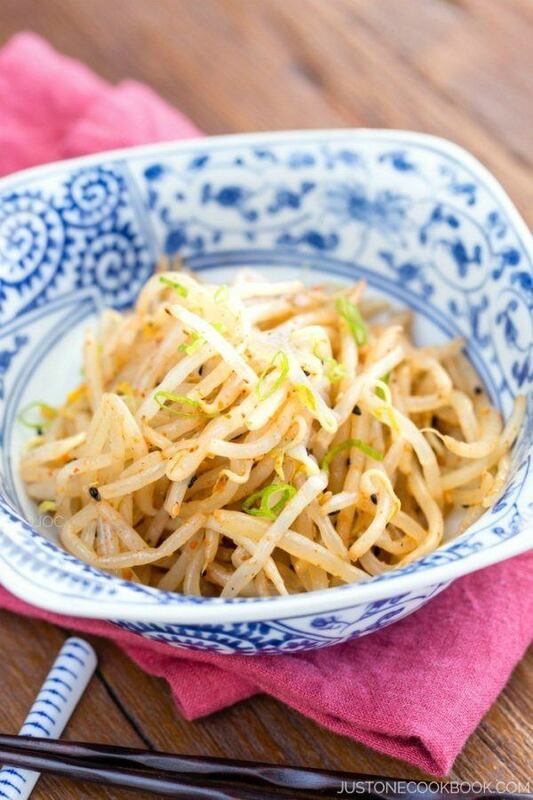 Nami, love your little Ramen series and this spicy bean sprout salad looks utterly delightful – the seven-spice-powder sounds intriguing and like such a perfect compliment to the crunchiness of the fresh bean sprouts in your recipe – what a great addition to a ramen dish! Have a lovely Monday, dear friend! Lovely side dish! Sounds spicy but flavorful! I love bean sprout salad. Very light and healthful. Have a good week, Nami. Oh this one is so easy. What spices are there in Japanese seven spice, Nami? Would love to know from you. I have used shichimi togarashi many a times in HK, but here in Mumbai we don’t get this product. A wonderful salad! I love bean sprouts and find the idea great. Never knew of Japanese seven spice powder! It’s great to learn something new. 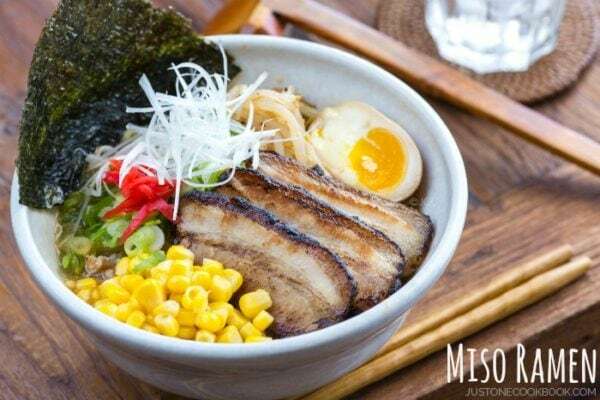 You have me envisioning a very delicious bowl of ramen right now! A little crispy crunch from the fresh, spicy bean sprouts sounds just perfect. Damn delicious and comfortinf salad!!! i like the beansprout raw better actually…..
i guess my thinly sliced homemade bresaola made it lovely even more. 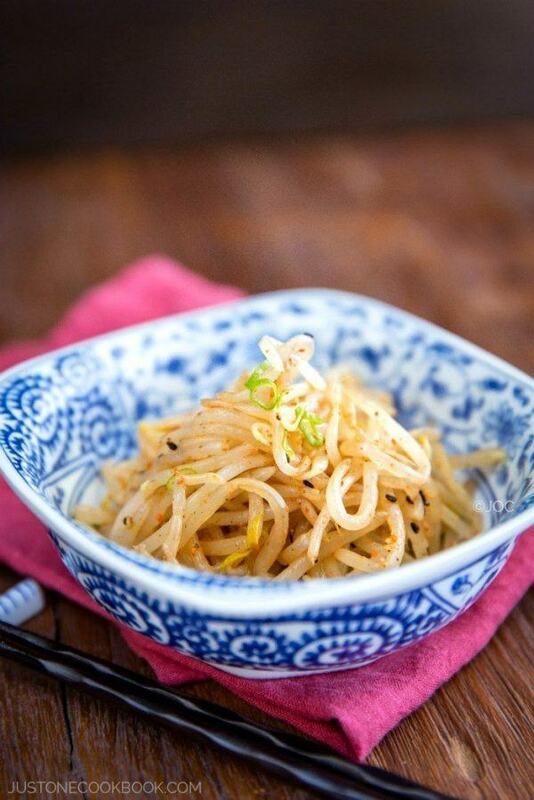 I love bean sprout salad – am going to have to try it with Shichimi Togarashi next time! Beautiful salad, Nami. I often put mungo bean sprouts into my ramen, so this salad would be an excellent topping or side dish too. It reminds me of a spicy bean sprout Korean salad I love… It’s funny what you say because as a child (who already ate with adults) I was the one who ate the spiciest food in the house 😉 I was already a beginning chilli addict then. I like this a lot…. I could eat a whole bowl on my own too. Nice and quick video! Love it, Nami! I love it spicy! That sounds excellent, I’m picking up some bean sprouts this weekend! I love bean spouts but your spicy one is even better. Great pictures and video of course…gonna make it for sure! What a beaultiful salad. I love your ingredients and I can not wait to try that Japanese Seven Spice! Wow… I love that bean sprouts are the star of this salad. Looks yummy! 20k subscribers is quite a milestone, congratulations! It’s dishes like this and your dedication to perfection that makes a difference. 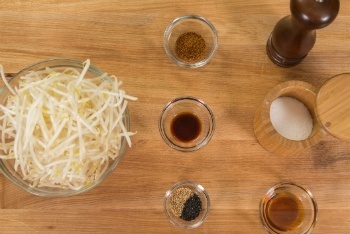 I love bean sprouts.. and what a great way to use them! Definitely a recipe I will be recreating. Thanks for the inspiration! 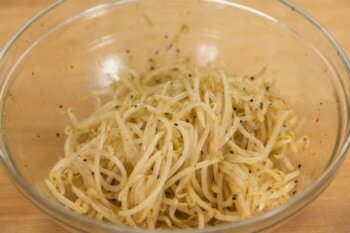 What a delicous side, Nami, I love seasoned bean sprouts and I would top it on noodle soups and rice and anything else! 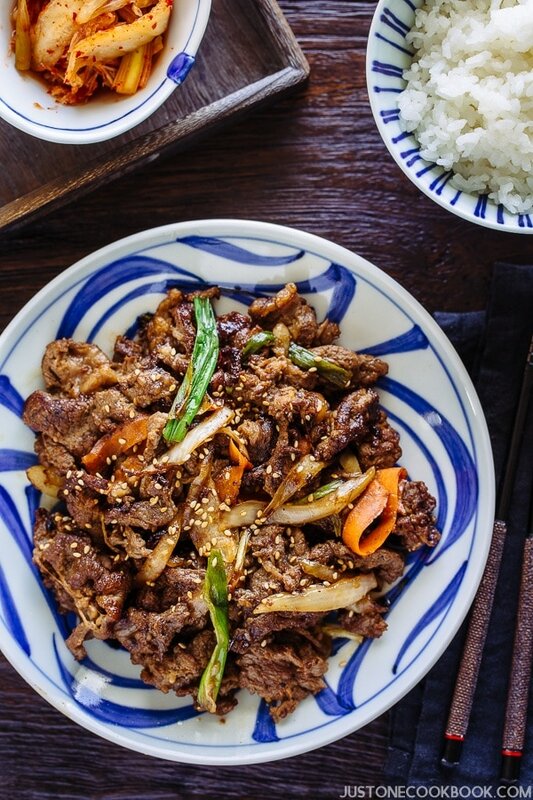 I need to try the Japanese Seven Spice powder (shichimi togarashi), the seasoning looks so good! How long will this salad keep in the fridge? Can this be stored in the fridge? If so, how long can it be stored? Thank you for this easy recipe, I don’t have the spice but still came out good. I made your miso ramen too. Thank you again. Hi Julie! I’m glad to hear yours came out well and you made ramen!! Yay! Thank you for trying my recipes! Thanks for the recipe. Made this last night as a side dish. It was delicious and I’m glad to have leftovers for my lunch today. My little local Asian market was out of Shichimi Togarashi so I had to make my own spice mixture. I looked up a recipe online and it came out quite good thankfully. I will be making this again. Thanks for sharing the recipe. Hi Karen! So glad you like this recipe! Wow you made homemade shichimi! Today, i did this recipe. One bite and i feel like i was seated at ippudo! I love the Spicy Bean Sprout Salad. This recipe is great to add to your weekly work as a snack. 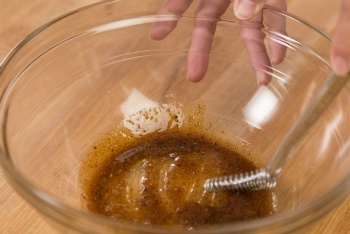 Also read on how to make Wafu dressing Yummy. Thank you Rosa! It’s easy and I love how crisp the texture of bean sprout is. Wafu dressing is our all-time favorite! Thank you for your comment, Rosa! Very good salad, but the seven spice mix is really potent, so I suggest to be cautious with the seasoning! How long does the salad keep for?